Even as the artist's dream of setting up the Sikh School of Art never got fulfiled, his family members have been struggling to preserve his legacy. The sole heir of the legendary painter, his daughter Gurcharan Kaur, has almost given up requesting the authorities and has started looking towards wellwishers and her own resources for setting up the Sobha Singh Memorial at Andretta - a picturesque village near Palampur in Himachal Pradesh where he had settled down after the Partition. Sobha Singh is known for his portraiture of Sikh gurus and national heroes such as Bhagat Singh and Lal Bahadur Shastri. He painted Sohni Mahiwal - one of the most popular love legends of Punjab for the first time in 1937. This lone painting gave him enormous fame. He painted it for the fifth time in 1979 and the painting is on view at the Sobha Singh Art Gallery in Andretta. He also worked on other love tales such as Heer-Ranjha, Sassi-Punnu, Shirin- Farhad and Mirza-Sahiban. Sobha Singh was born on November 29, 1901 at Sri Hargobindpur in Gurdaspur and he mastered painting without any formal training. He served the British Indian army as a draughtsman. 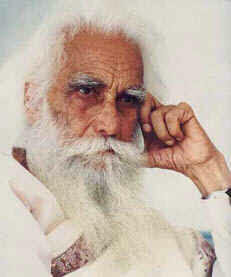 In 1923 he left the army, returned to Amritsar and opened his art studio. Portrait painting became his forte and he was commissioned for doing portraits of several rulers of Indian states. He studied European Paintings and got inspired by English painters. In 1946, Sobha Singh went back to Lahore and opened his studio at Anarkali. Sobha Singh was a life fellow at Punjabi University since 1972 and he obliged the authorities by donating over two dozen portraits of prominent painters and writers including Dhani Ram Chatrik (considered the founder of modern Punjabi poetry), Bhai Kahn Singh Nabha (a Sikh lexicographer and encyclopedist) and Shradha Ram Phillauri (the creator of the popular hymn 'Om Jai Jagdish Hare'. Instead of displaying the work in the museum, one of the curators 'dumped' them behind the bookshelves in the library! The artist's fans who live abroad, recently sponsored the visit of Ian Barrand, Yorkshire Museum's art restorer, to Andretta. Barrand, along with a noted artist from London, Bhajan Hunjan, critically accessed, restored and rearranged the paintings preserved by the family according to the standards followed by international museums.